Jacob (Jack) Jacoby was a Professor of Marketing at the Stern School of Business, New York University, where he held an endowed chair as the Merchants Council Professor of Retail Management and Consumer Behavior. Professor Jacoby earned a B.A. and M.A. from Brooklyn College, and a Ph.D. from Michigan State University, all in Psychology. He won numerous awards for his scholarship, including the American Marketing Association's Harold H. Maynard Award, the American Academy of Advertising's "Outstanding Contribution to Advertising" award, the Society of Consumer Psychology's bi-annual "Distinguished Scientist Award," and the Fellow award from the Association for Consumer Research. He recently was identified as one of six Legends in Consumer Behavior by Sage Publications who has re-published many of his articles and chapters as an eight volume compendium. Professor Jacoby's research, portions of which were funded by the National Science Foundation and the American Association of Advertising Agencies, focused on consumer decision making, especially on the impact that external factors (such as advertising and packaging) have on decision making and behavior. Other major research streams included information overload, consumer comprehension and miscomprehension of advertising communications, perceived product quality, brand loyalty, and developments and research methodology, particularly behavioral simulations. His most recent research focused on public policy issues regarding trademark and advertising law (e.g., deceptive advertising). 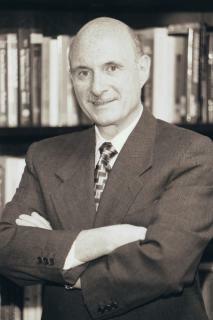 In addition to six books and numerous book chapters, Professor Jacoby published articles in a wide range of journals, including Journal of Consumer Research, Journal of Consumer Psychology, Journal of Marketing Research, Journal of Marketing, American Psychologist, Journal of Experimental Social Psychology, Educational and Psychological Measurement, Public Opinion Quarterly, Journal of Applied Psychology, Computers in Human Behavior, Journal of Public Policy and Marketing, Journal of Behavioral Finance, Journal of Advertising Research, the Trademark Reporter, Roger Williams University Law Review, Cardozo Arts and Entertainment Law Journal and Marquette Intellectual Property Law Review. Professor Jacoby served terms as President of the American Psychological Association's Society of Consumer Psychology and President of the Association for Consumer Research. At the Stern School, he taught Consumer Behavior in the undergraduate, M.B.A and Ph.D. programs, Research Methods in the M.B.A and Ph.D programs, and Introductory Marketing and Advertising Management in the undergraduate program.